On November 1, 2012, Canadian-Korean hip-hop artist etikid released his first free mini album titled [Seoulful EP]. 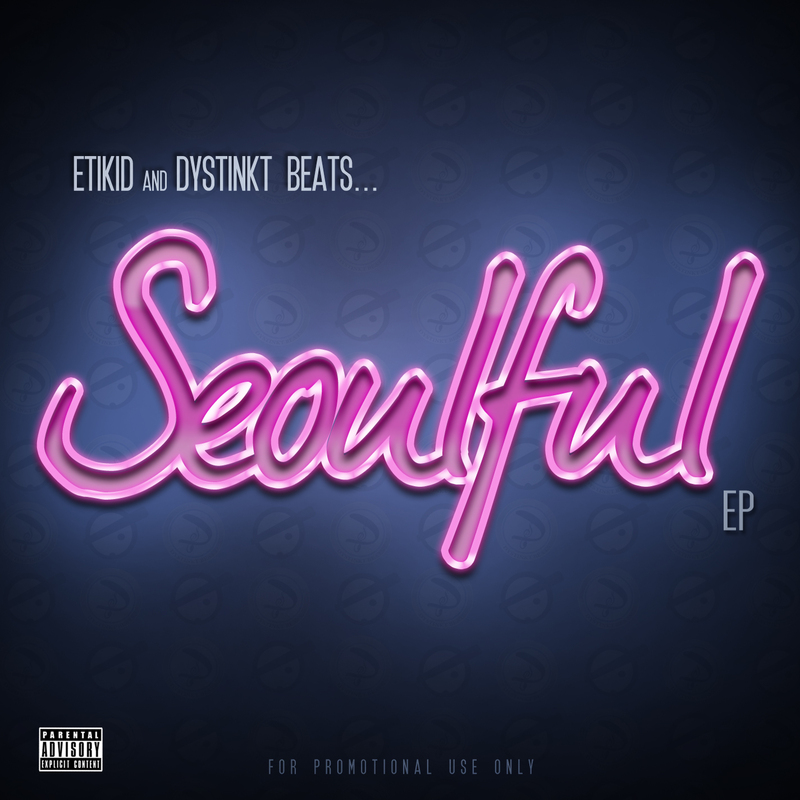 etikid & Dystinkt Beats present the Seoulful EP concept album. The 7 track EP bridges hip-hop with the sounds of popular Korean (K-Pop) music. The project was birthed from the mutual respect and appreciation of music from South Korea. etikid’s video for the first single “Head UP” has received great feedback so far. The second single off the album is “Addicted to You” sampling Boni (보니) and the music video will be coming out shortly, once again directed by Monster Theory (@MonsterTheoryTV). Best of all the album is available for FREE! 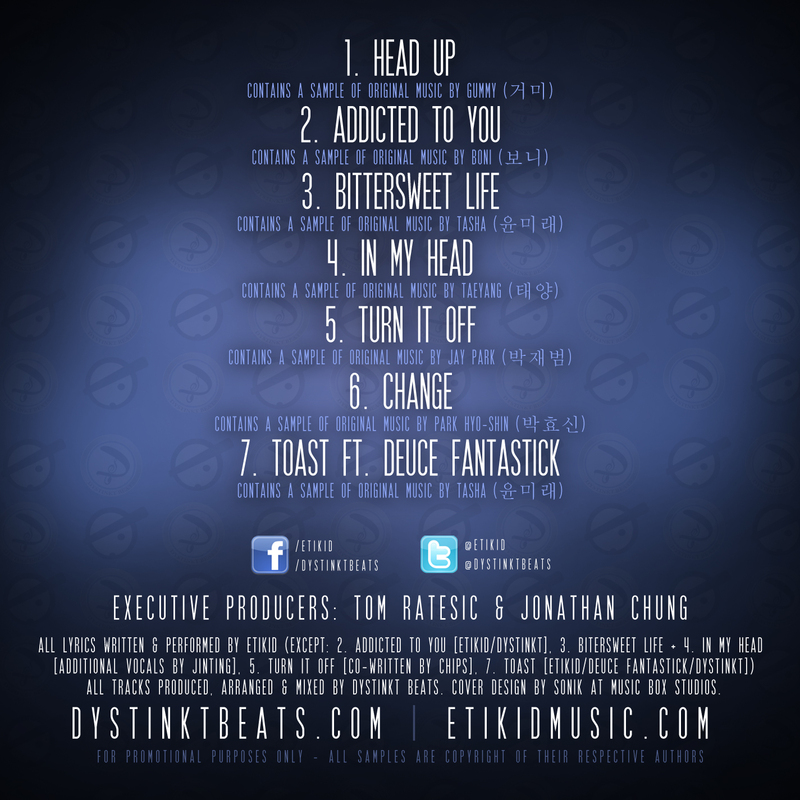 Listen to etikid’s ‘Seoulful EP’ mini album on YouTube by clicking here. This entry was posted in Album Release, Free Music, News, Videos and tagged addicted to you, bittersweet life, boni, change, deuce fantastick, dystinkt beats, dystinktbeats, edmonton, etikid, 박효신, 박재범, 거미, 보니, gummy, Head UP, in my head, 태양, 윤미래, Jay Park, korean hiphop, park hyoshin, park jaebom, seoulful EP, Taeyang, Tasha, toast, turn it off, yoon mirae. Bookmark the permalink.